The hungry Brits have spoken. The U.K.'s top choice for fast food is the all-American Five Guys burger chain, according to a new consumer survey by Market Force Information. This marks a meteoric rise for the burger joint, which launched in the U.K. less than three years ago. It now has more than 40 restaurants in the country and more are in the pipeline. The survey said that Five Guys beat the competition with "exceptional performance ... in the food quality, cleanliness and staff friendliness categories." 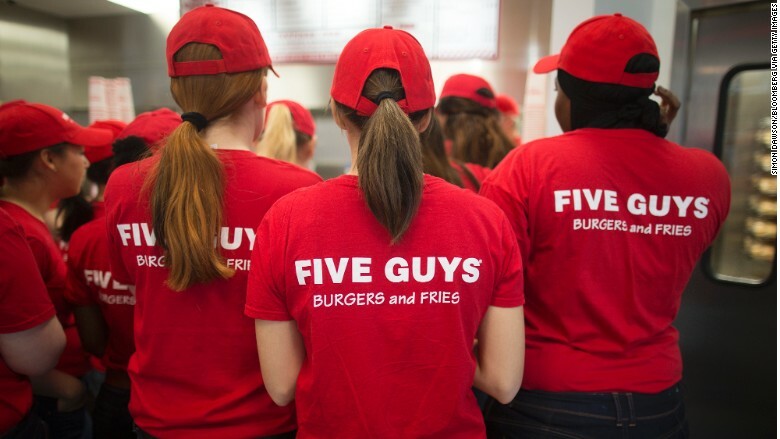 "It's an amazing accolade to have become the nation's favorite restaurant in such a short space of time -- we're proud to be sharing the Five Guys love!" said John Eckbert, the U.K. head of Five Guys. The chicken restaurant chain Nando's was knocked down to second place in the survey, followed by Gourmet Burger Kitchen, KFC and Burger King, which is owned by Restaurant Brands International (QSR). Five Guys has been expanding aggressively across the U.K.
A spokeswoman for Five Guys told CNNMoney in 2013 that the company decided to come to London because of rising demand, noting that the chain had a huge number of British fans on Facebook (FB) and Twitter (TWTR) before the first store even opened its doors. Related: Is Shake Shack losing the burger wars? Market Force Information also ranked cafes, pizza places, sandwich chains, pubs and Italian eateries in the U.K. The home-grown British chain Pret a Manger won out in both the coffee and sandwich categories. 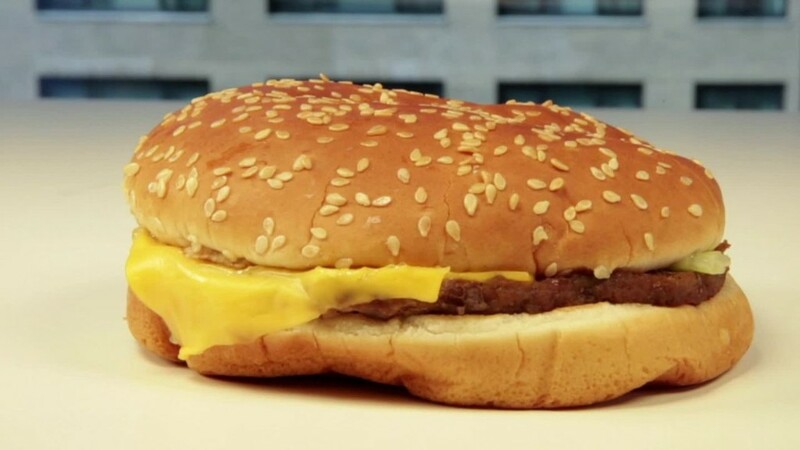 The chain opened in 1986 and was partially owned by McDonald's (MCD) between 2001 and 2008, before being sold to private equity firm Bridgepoint.